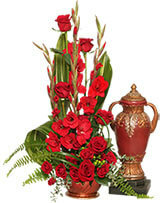 Order within 12 hours 44 minutes for Same Day Delivery! Floral urn ring filled with shades of lavender & purple. 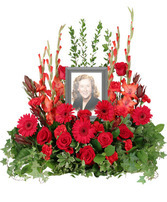 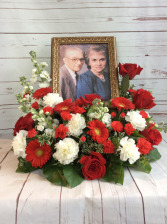 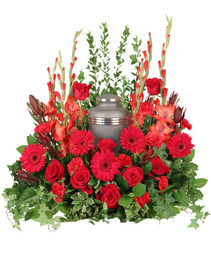 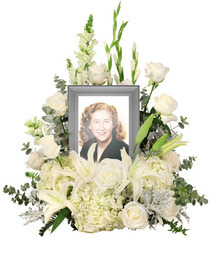 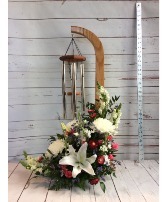 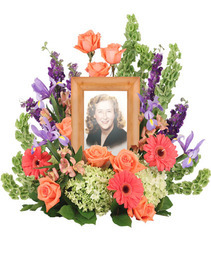 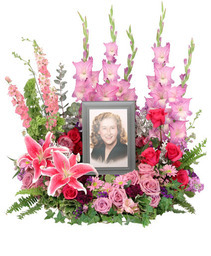 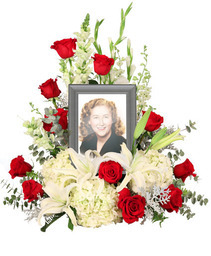 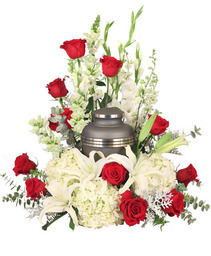 A perfect tribute for your loved one. 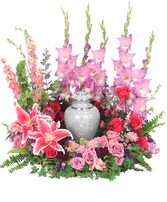 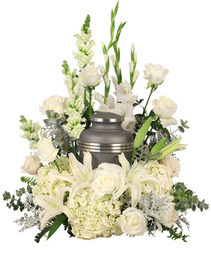 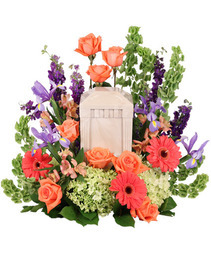 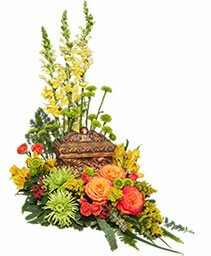 The space in the center will accommodate most urns or boxes. 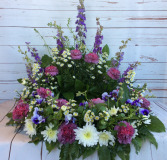 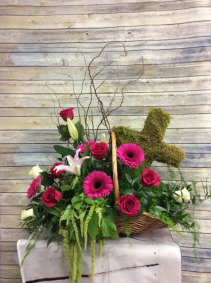 Large Fireside basket & moss covered cross filled with gerber dasies, hot pink roses, white roses, stargazers, curly willow, asparagus fern & green amaranthus.